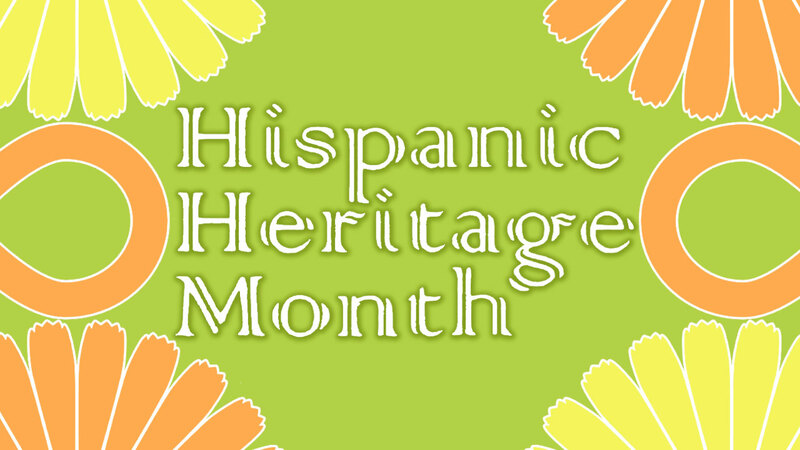 National Hispanic Heritage Month is a time to recognize the contributions made by Hispanic and Latino Americans. It's a time to celebrate their heritage and culture while recognizing their presence and influence in the United States. Hispanic Heritage Month, whose roots go back to 1968, begins each year on September 15, the anniversary of independence of five Latin American countries: Costa Rica, El Salvador, Guatemala, Honduras and Nicaragua. Mexico, Chile and Belize also celebrate their independence days during this period and Columbus Day (Da de la Raza) is October 12. According to the U.S. Census, 50.5 million people or 16% of the population are of Hispanic or Latino origin. This represents a significant increase from 2000, which registered the Hispanic population at 35.3 million or 13% of the total U.S. population. ABC30 is recognizing two Central Valley Latino Americans who are educating and positively influencing others in our community. Rob Isquierdo is on a mission to build a library for his hometown of London in Tulare County. Isquierdo was born in Fresno and raised in a trailer park in London. His father worked the fields in Selma and later worked as a custodian in Visalia. His parents were later able to build their first home in London. At 18, Rob moved to Santa Maria, California to attend Allan Hancock College where he played soccer, worked as a custodian, and received assistance from the E.O.P.S. program and financial aid to pay for college. It was here where he first heard Gary Soto speak . He was inspired because he was a Chicano from Fresno who had become a successful writer through hard work and education. Rob earned his B.A. in Psychology from Menlo College in Atherton, California. In 1999, he began teaching 7th and 8th grade P.E., English, and Social Studies in Sunnyvale. Eventually he moved to Santa Clarita and worked as a P.E., and English teacher. He also coached soccer and football. It was here where he was inspired to build London's first library. "I saw all the resources offered to my students and children in Santa Clarita and thought about what services the children of London had.....none. And that's where the project began." Rob recently moved back to the Central Valley and teaches in Kings County. He's collected more than 15,000 books but needs to raise more than $100,000 to set up and establish the building. He's mobilizing children, adults, businesses and other groups to take action and change the image of his hometown. He no longer wants London to have a reputation of gangs and drugs. He wants the children to have positive influences and a chance to further their education. London is located between Kingsburg and Dinuba. Rob Isquierdo, an ambassador for change! Amanda Allison Valdez is a Mexican-American blogger, YouTuber, and advocate for plus size fashion and self-love. Every week she posts about fashion, beauty, and self-acceptance on her blog Fashion, Love, & Martinis and YouTube channel ImFashionablyLate. Amanda was born in Fresno, California in 1985. She was raised in the small agricultural town of Mendota, where her parents grew up as farmworkers and later began careers in the United States Postal Service and Dental field. Since childhood, Amanda had a penchant for writing, reading, shopping, and fashion. Many of her days were spent playing dress up in her mom's shoes, writing poetry in her diary, reading books from the Fresno County Public Library, and strutting down the hallway as if it were a runway. Her parents and large Mexican extended family provided wonderful examples of a strong work ethic, unconditional love, and unity. She credits these qualities in developing her confidence and determination to always do her best. Her size was never an issue to them, nor did she look at it as a hindrance. She was almost always the "big girl" in class. That did not stop her from participating in sports and clubs, forming friendships, and being happy. Upon entering college, Amanda encountered a number of negative experiences that rattled her core. Her confidence weakened as self-doubt skyrocketed. One late night in November 2008 she decided to write about it---on the Internet---for the whole world to see. That was the start of her blog Fashion, Love, & Martinis. Her early entries were a mix of fashion news and personal history with weight. After discovering plus size fashion blogs and connecting with bloggers through Social Media, she regained happiness and confidence. Posts that were once laced with self hate grew into photos documenting her personal style and journey to self-acceptance. On a December afternoon in 2009, Amanda made a trip to the Apple Store to purchase a MacBook Pro. Little did she know the built-in iSight camera would transform her life and the lives of young girls and women around the world. Via the username ImFashionablyLate, she uploads weekly videos featuring plus size fashion hauls and outfit ideas, hair and makeup tutorials, motivational messages, and pieces of her day-to-day life. Some of her most popular videos include taking viewers "Inside the Dressing Room." This original series offers an intimate look at plus size shopping. From the thrill of finding the perfect dress to the struggle of arms not fitting into sleeves; all hits and misses are filmed to share the reality of shopping for readily-available plus size fashion and the lack thereof. Women relate to her candidness and willingness to share her style and the ups and downs of discovering yourself and embracing your body. As of September 2014, her YouTube channel has over 21,000 subscribers and nearly two million views. Amanda's blog and channel is a refreshing change from the portrayal of plus size women in mainstream media and society. Women, especially in the case of fat women, are pressured to cover up, to look thinner, to be ashamed of their bodies. Rarely are they encouraged to be confident and secure with themselves. Amanda and her loyal viewers and readers challenge that view with every upload, comment, like, and share. People of all shapes and sizes deserve a life filled with happiness, self-love, and fabulous fashion. This belief inspires Amanda Allison Valdez every day to share her personal style and experiences. Whether it is through a blog post, video, tweet, or Instagram, Amanda's messages hope to inspire women to be confident, see their beauty, and celebrate their bodies with respect, love, and great clothes.